Blue Cat's MB-5 Dynamix has just been updated to v1.1, including enhancements of the user interface and the crossover filters. The upgrade to this new version is free for existing customers. If you haven't tried the plug-in yet, check out the demo! We are happy to announce the launch of winter special offers to celebrate the end of the year: save 20% off all our audio plugins and bundles. Download the demos and try them out: the offer is valid until December 31st! For existing customers, the discount rate is increased to 40%! Coupons are on their way. Check your email! 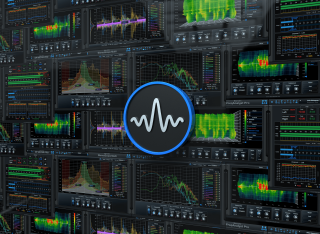 Blue Cat's FreqAnalyst free spectrum analyzer has been updated: the new version includes many user interface enhancements as well as 64-bit Mac VST support, plus several new features borrowed from our other analysis plug-ins. The plug-in is still 100% free and is available in DirectX, VST, RTAS and Audio Unit formats: you can download it right now! We have just issued a maintenance release for our audio analysis plug-ins: it fixes an issue introduced in our latest update: the plug-ins were incompatible with older presets. This problem is now fixed. As usual, the upgrade is free for existing customers and can be downloaded from the same location as the previous version (emails are on their way). If you do not own these plug-ins yet, demo versions in DirectX, VST, RTAS and Audio Unit formats are available for download. No big surprise here, but you might be glad to know: after a series of tests, we can confirm that our plug-ins are compatible with Avid's latest release of Pro Tools. 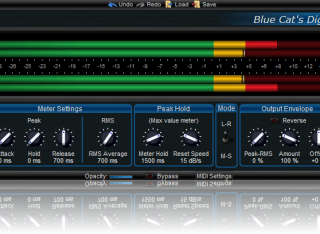 See this screenshot of Blue Cat's Digital Peak Meter Pro and Blue Cat's MB-5 Dynamix running in a sample session under Windows 7. "[Blue Cat's] MB-5 Dynamix is a clean and efficient multi-band compressor that really shines in respect to its usability. Quick to set up and with clear metering, it’s a nicely presented, professional tool." Longer excerpts from the review are available on the plug-in's page. If you haven't tried the plug-in yet, check out the demo! New versions of our award winning audio analysis plug-ins have been unleashed today: they include many user interface enhancements and 64-bit Mac VST support for all plug-ins, a new histogram display and delay compensation capability for the Blue Cat's Oscilloscope Multi plug-in, new parameters synchronisation features for the Multi series, as well as a couple of other improvements. More details are available on each plug-in's page. The upgrade is free for existing customers and can be downloaded from the same location as the previous version. Demo versions in DirectX, VST, RTAS and Audio Unit formats are available for download right now! Blue Cat's Analysis Pack has been reviewed in the october issue of Keys, the German magazine. You can read an extract of the review in the comments section of the analysis bundle page. We have just published a new tutorial which explains how to use the output parameters of our plug-ins in MOTU's Digital Performer to create advanced side chain effects. Check it out! We are proud to announce the release of our latest creation, Blue Cat's MB-5 Dynamix. It is also the occasion for us to unleash at the same time a new bundle, Blue Cat's Energy Pack. 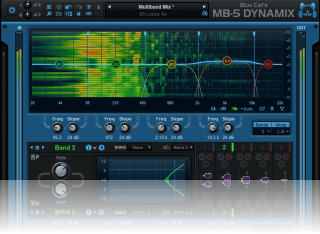 Blue Cat's MB-5 Dynamix multiband dynamics processor is the most flexible audio tool we have ever released: check out its 5 independent powerful processors and its cross-band side chaining capabilities, you won't find these elsewhere! It is available as a single plug-in or within the refreshed Blue Cat's Master Pack and All Plugins Pack bundles, or the brand new Energy Pack dynamics plug-ins package. As a side note, it is also our first plug-in that supports the 64-bit VST format on Mac. This new plug-in and the related bundles are available at a special introduction price (up to 20% off) until the end of the month. Existing Blue Cat Audio customers will benefit from even larger discounts (sent by email). Check out the demos! We are happy to announce the simultaneous update of the FreqAnalyst and StereoScope Series, as well as the Oscilloscope Multi plug-in. These new versions bring performance improvements for both the user interface and the signal processor. The upgrade is free for existing customers and can be downloaded from the same location as the previous version (see your registration email). We are happy to announce that we have teamed up with DontCrac[k] to create an exceptional limited-time offer, in order to celebrate the availability of all our plug-ins for Pro Tools and 64-bit platforms: check out our very special DontCrac[k] bundle including our best selling plug-ins at an incredible price! It's about $1200 worth of plug-ins for $289 only! This exclusive offer with our partner DontCrac[k] will last only until June 30th, so don't miss it! 64-bit and Pro Tools versions of Blue Cat's Remote Control and Stereo Phaser plug-ins have just been released. All our plug-ins are now available for Pro Tools and 64-bit platforms! These new versions also include a couple of enhancements and fixes for other platforms. As usual, the upgrade is free for existing customers who should receive the new link by email in the coming days. 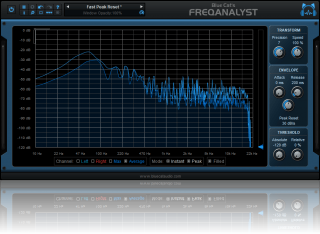 Blue Cat's FreqAnalyst CM Edition version 1.2 is out! This spectrum analysis plug-in is exclusively available for free with Computer Music Magazine. 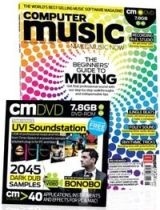 The new version can be found in Computer Music Magazine 152 (June), which also includes a short tutorial about spectrum analysis to get started with the plug-in. The new version of the plug-in brings Pro Tools (RTAS) and 64-bit platforms support as well as several improvements and fixes. When installing the plugin you will be asked a code to enable the stereo version of the analyzer. You can obtain this code by registering Blue Cat's FreqAnalyst CM here. 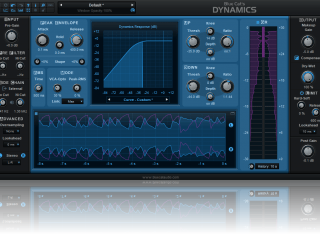 "Overall [Blue Cat's] Dynamics is an extremely flexible dynamics processor providing the majority of commonly used dynamics functions within a single unit." If you do not already own this plug-in, you might want to check out the demo! All our EQ plugins are now available for Pro Tools and 64-bit platforms, check them out! This update also brings bug fixes and improvements. The upgrade from the previous version is free for existing customers. It concerns the Liny EQ, Parametr'EQ and Triple EQ plug-in series. 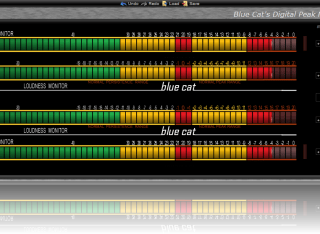 We have just received a set of new free skins for Blue Cat's DP Meter Pro. Many thanks to Ngarjuna for these loudness meter skins! You can download them for free here! 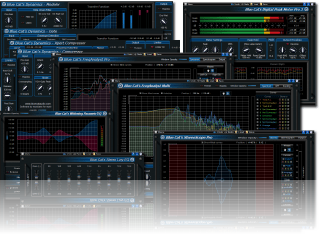 New versions of Blue Cat's Dynamics and Protector plug-ins are now available! The new versions bring RTAS format and 64-bit platforms support, as well as several enhancements and fixes such as improved Logic Pro support (check our side chain tutorial). You can read more details on the product pages. The upgrade is free for existing customers, so don't miss it! 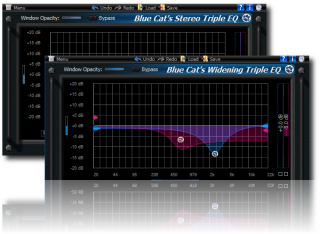 Blue Cat's Free Pack RTAS and Analysis Pack RTAS have just been updated to fix an issue when using both the stereo and mono versions of the same plug-in in the same session. A new tutorial explaining how to use our plug-ins' unique side chain capabilities in Apple's Logic Pro is now available: don't miss "Plugins in Logic" and learn how to use Logic's environment to connect your plug-ins! 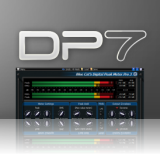 A new free skin set for Blue Cat's DP Meter Pro is available for download. Check it out, it's free! It contains four skins with very large meters for both the stereo and mono versions of the plugin. We have just released new versions of our freeware and analysis plugins that fix several issues (mainly on Mac and Windows x64). For commercial plug-ins, it also improves the demo version and makes it more user-friendly. We recommend you to upgrade to these new versions. You can check the release logs for details. A new system for secure downloads is now in place! It streamlines the download process once you have purchased plug-ins on bluecataudio.com: no more passwords, the ability to download large bundles in a single zip file (experimental) and access to archived versions. This new system is available for our newly released analysis plug-ins as well as a few others. With next updates it will be applied to all our plug-ins. We will be sending emails to registered users in the coming weeks so that they can have the new addresses to access latest updates. With our plugins now supporting RTAS format, here is a new tutorial for Pro Tools users: "Plug-ins in Pro Tools" describes how to use our plug-ins' unique real time side chaining capabilities in Pro Tools. Check it out! We are happy to announce the update of our audio analysis plugins: the new versions include RTAS plugin format support for Pro Tools users as well as 64-bit applications support for both Mac (Audio Unit) and PC (DirectX and VST). We have aslo fixed a couple of issues (mainly on Mac/Snow Leopard). Check the release logs for more details. Demos are available for download. Check them out! We are happy to announce the release of a new version of our free audio plugins bundle. This update includes official RTAS plugin format support for Pro Tools users. It also brings out of beta 64-bit support for DirectX and VST versions under Windows x64. We have also added 64-bit Audio Units support under Snow Leopard (for 64-bit Logic 9.1 users). Many thanks to all beta testers who helped us improve the plugins! As a side note, the legacy Digital Peak Meter plugin is still available separately but has been removed from the bundle installer to streamline upgrades. The Blue Cat Audio Team wishes you a happy new year! In case you missed our special end of year offers due to holidays (thank you for sending us so many emails today! ), we have decided to continue the offers for a few more days. 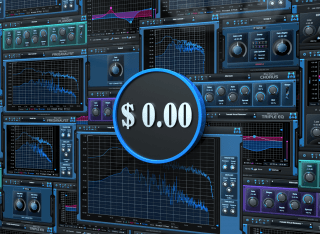 Hurry up to pick up your favorite plugins at a very special price! Looking for older news? Please consult the 2009 News page.